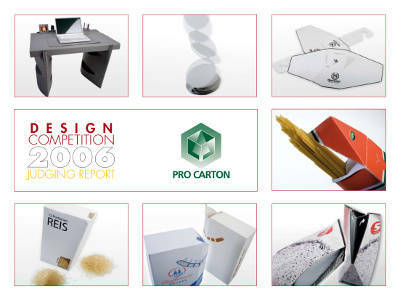 For the second time Pro Carton is pleased to announce the International Design Awards. These awards are run every two years and bring together entries from across Europe as most Pro Carton national organisations run an event in their own country and the winners from these events are brought together to be judged internationally. Across Europe we received over 500 entries and 50 of these moved forward to the international event. The entries were judged by a Jury made up of experts in their fields and the results were announced at Scanpack in Gothenburg in October. In this site you will find details of all the winners and also photos of all the entries that appeared in the international judging. It is also possible to look back on the previous awards which were announced in 2004. If you need any further information please make contact with us using the contact link.